Furnish your space, wherever you work. Owning a business gives you the flexibility to work wherever you want. Create a home that fosters innovation. Meet Bridget. She started an online business and uses CORT to furnish her apartment. Bridget is the founder and owner of PearlBar, one of the top eco-friendly oral care companies in Australia. When Bridget wanted to expand PearlBar into other countries, she moved temporarily to Los Angeles to kickstart her business in the United States. Since she has the flexibility and freedom to work from anywhere in the world, Bridget doesn’t stay in one place too long. Which is why she hired CORT to furnish her apartment. 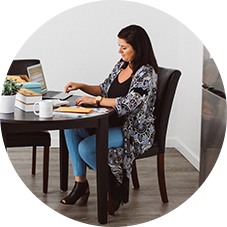 Learn more about how Bridget runs her online business and how renting furniture aligns with her environmentally conscious lifestyle. 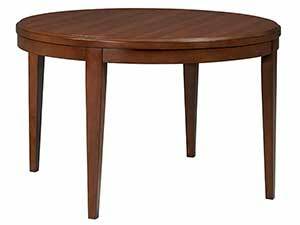 "The eco-impact of renting furniture is really positive. Renting furniture that someone else can use when I don’t need it anymore is perfect for my way of life. " 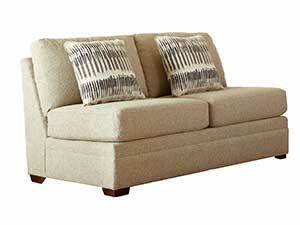 The Ballard loveseat and chaise has a time-tested look. Its neutral fabric offers versatility and supreme comfort. 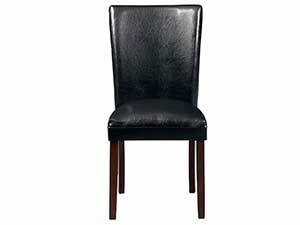 The Belvedere dining chair is covered in dark chocolate leatherette. This dining chair is for those who like contemporary style and classic details. 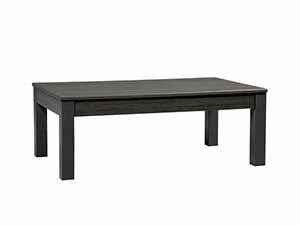 The Dorian rectangular coffee table boasts a refined, yet simple look. This piece has an elegant minimalist style with a slate finish. 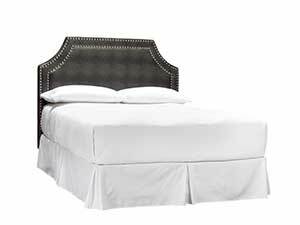 The Toby Queen headboard offers an attractive profile that exudes a sophisticated look. Add elegance and style to your room with this eye-catching headboard. 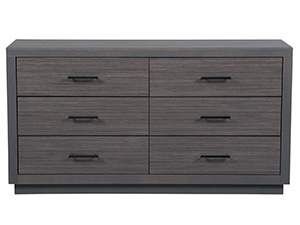 The Dorian dresser and mirror offers lots of contemporary style and ensures you've got the storage you need in your bedroom!